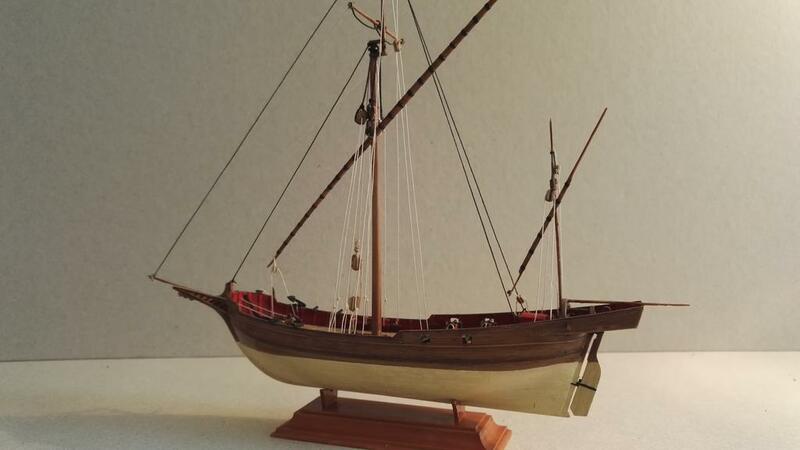 As I said in my introduction post, I am a returning modeler, now retired and hoping to have a go again at making some models like I used to do in the dim and distant past. I have noticed that the standards have gone up a long way now, far better than what I used to turn out back then, so I am a bit hesitant to show my work. Still, the best way to improve is to just get on with it, do one's best and take criticism on board! So here we go. 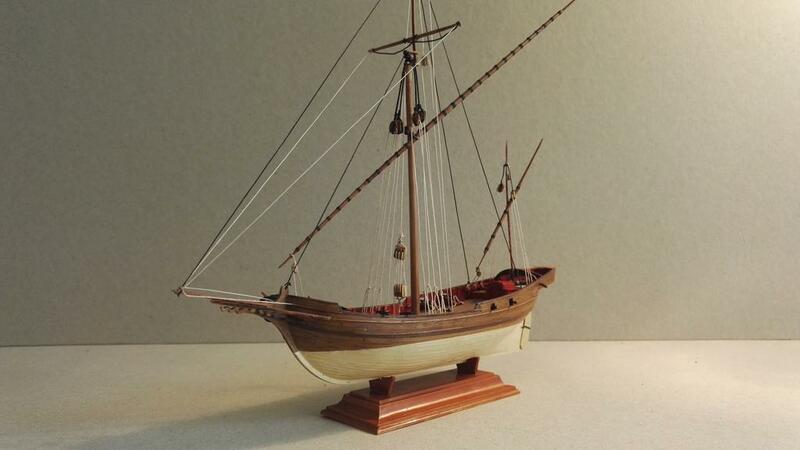 My first kit is a small ship by Heller, what they call the 'Corsair'. 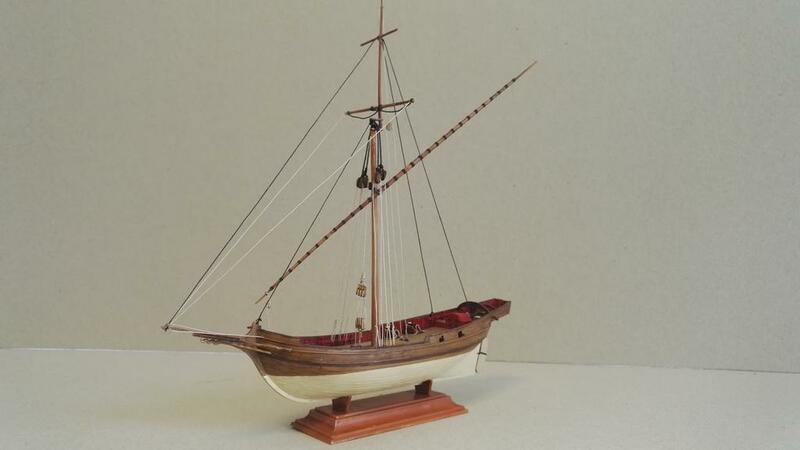 Apparently this is based on an existing model of a so called Tartane, a small ship from the Mediterranean. 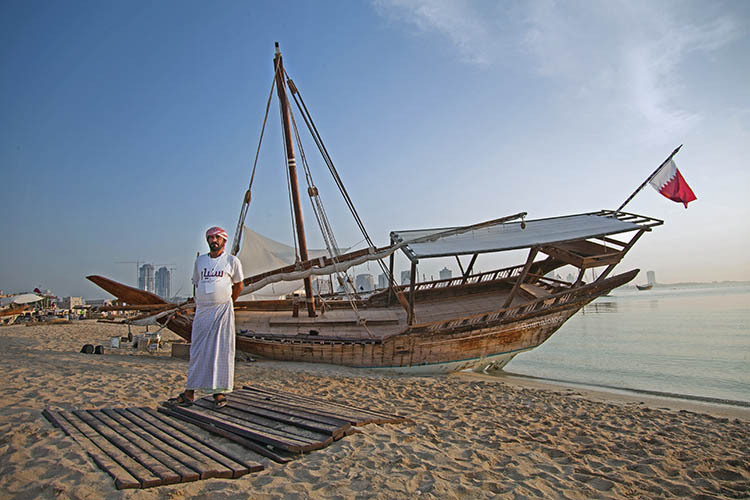 I think I spot some Arabic influences in the shape of the stern? This is a cheap and simple beginners kit at scale 1/150, so good practice material. I am not aiming at perfect accuracy but more at an overal impression. I am making some changes as I go along to (hopefully) improve on the basc kit a little bit. 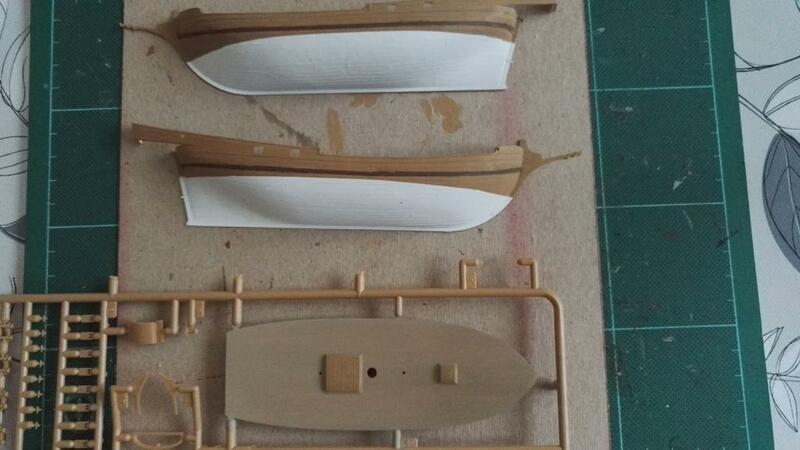 Here are the hull halves after initial painting. I don't have an airbrush so this is brush work, before any detailing and weathering. 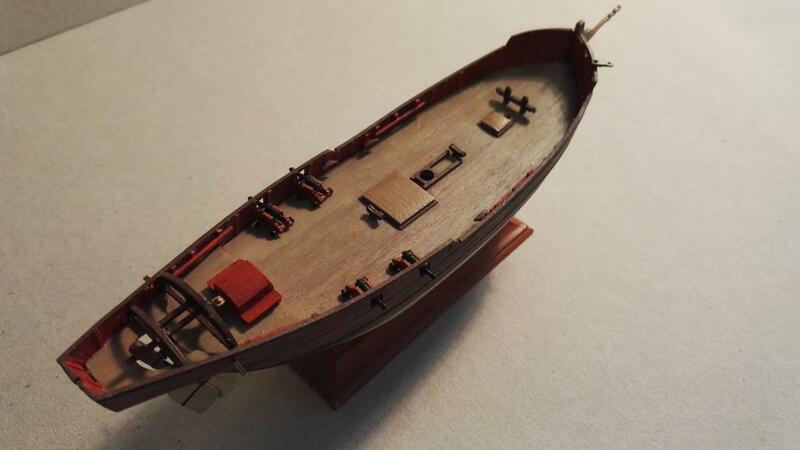 The bare hull, with some weathering. I use oil washes over a base coat of acrylic. 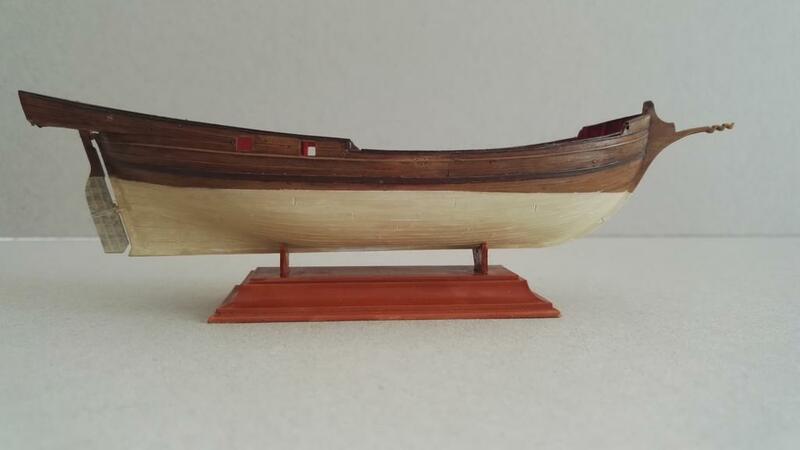 I would like to show the deck planking a bit more clearly but am not sure how to do that - they are raised, not inscribed, so a wash doesn't really work very well. Perhaps I should have put on a black base coat, then a wood coloured coat followed by some very gentle sanding to bring out the planks? A bit further on, the hull is now almost complete with details. In the kit the inside of the bulwarks are plain, I have tried to improve on that by adding an impression of the frames using plastic card. 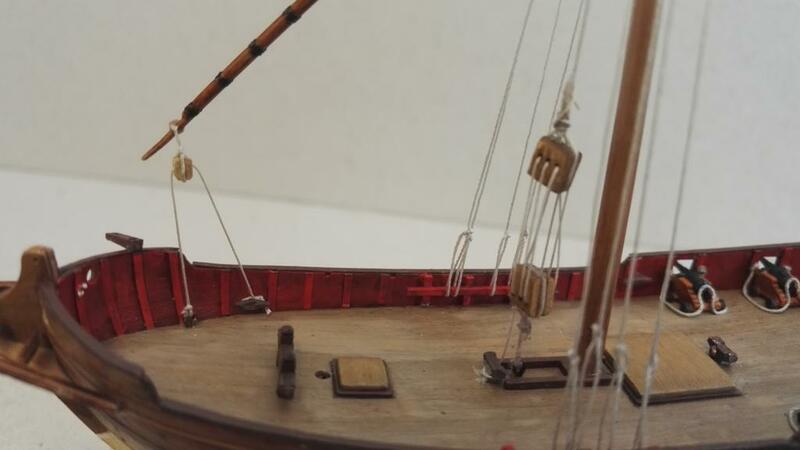 I also drilled a hole for the anchor line in the deck and the bulwark, and added some more belaying points for the rigging. 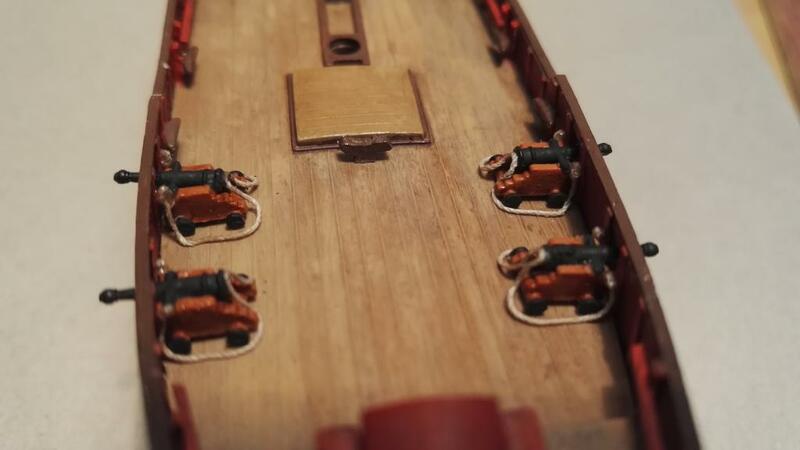 The guns are still loose, they are tiny and I am not sure I am up to rigging them in. As they say, when in doubt, leave it out? Next up is stepping the masts and then some rigging. The rigging diagram in the kit is way too simple and I want to go a bit beyond that. 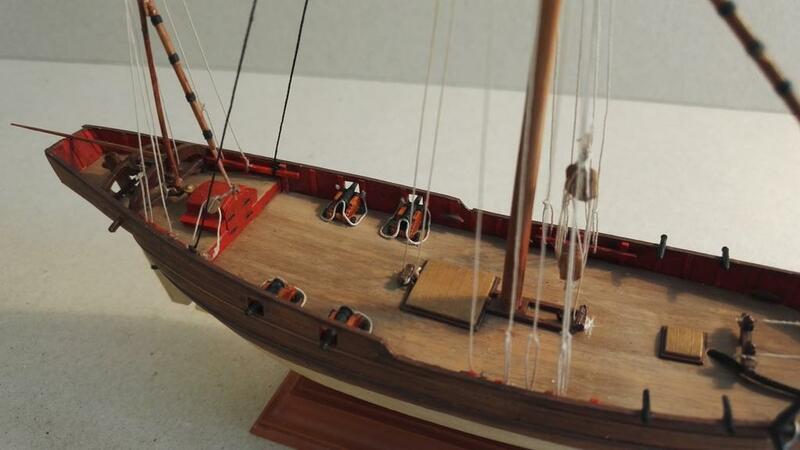 I don't like the plastic sails and will leave them off, which simplifies the rigging of course. I bought some small wooden blocks, there isn't a lot in the kit. I'm not actually sure about the shrouds, as far as I can tell these small vessels didn't have deadeyes and lanyards, perhaps someone in the know can enlighten me? Hmm, I am not sure what is up with the picture tags? Instead of just linking to the pictures all of my text acts as a link to Postimage? What am I doing wrong? I use the 'Hotlink for Forums' link from Postimage. That's looking great so far! I don't use an airbrush either. A decent set of watercolour brushes do me just fine. 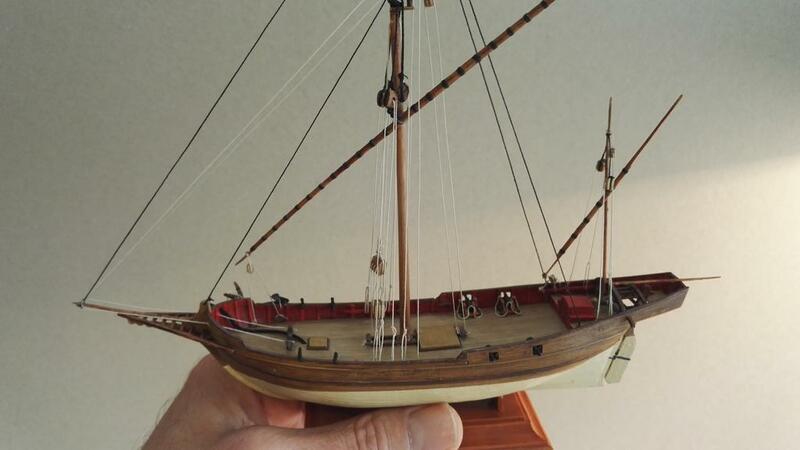 I used some careful scraping with a blunt scalpel to weather each individual plank of wood on the Black Pearl. Maybe try that? I can see your pictures ok, but if I click on them, it sends me to the PostImage home page. Welcome back to the hobby. Nice start on a cool subject. Welcome! That model looks good so far. your model look's great jurs . welcome back . Thanks for the welcome, guys. I have been reading through the forum and you guys make some really impressive models. They are a true inspiration! I don't know why Postimage does this thing with underlining my text. I found that you can right-click a picture and select 'View Image' to show it in a larger format. Cool - right clicking works. 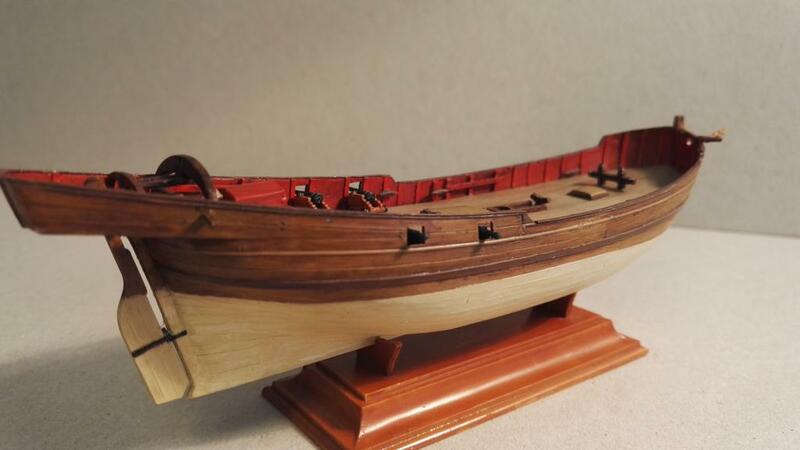 Why did the older ships paint the gunwales red? Looking good so far, jurs. When you add the link from postimage, use the "direct link" to copy here. Never had an issue that way. Because red paint was cheap. I agree that rigging the guns can be a challenge if you are not practiced. 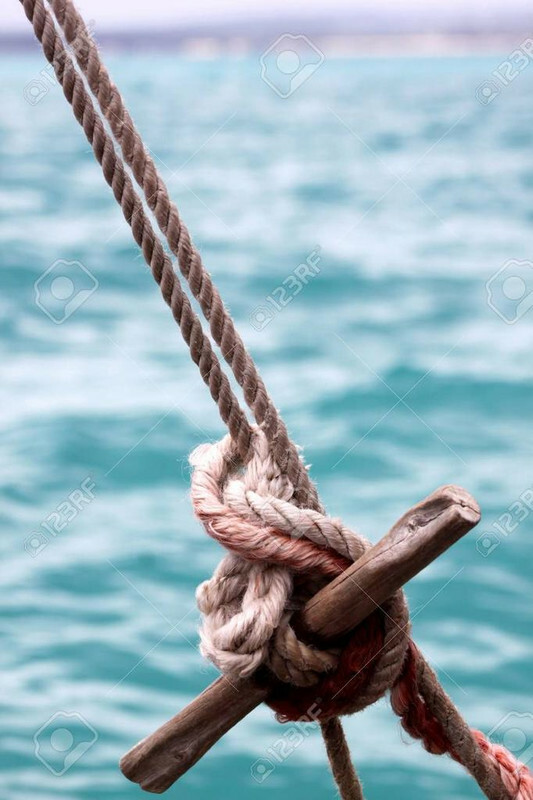 If it has been awhile since I have rigged a ship, I find I need a bit of time till I get my *** back. Even when I come up to speed again, I cannot do much rigging at a single setting. It is tension-producing, so take frequent breaks. 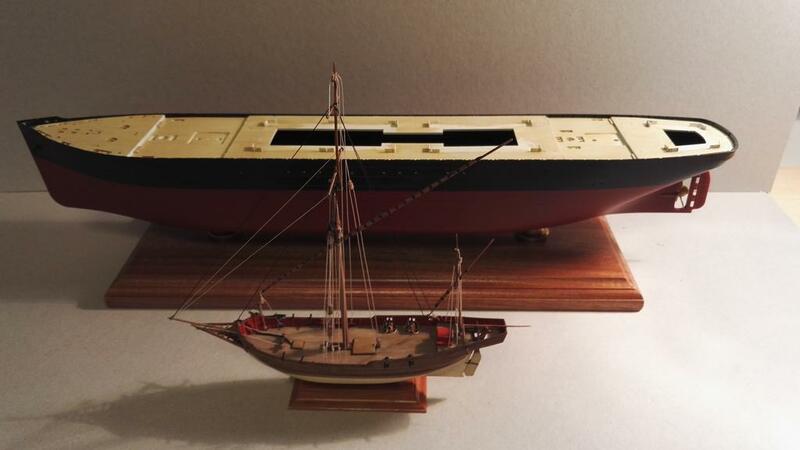 If it is a complicated larger ship I put it on the shelf for awhile while I build a simpler model. However, your craft does not have the rigging of a full three master, so you may not need to take a longer hiatus. 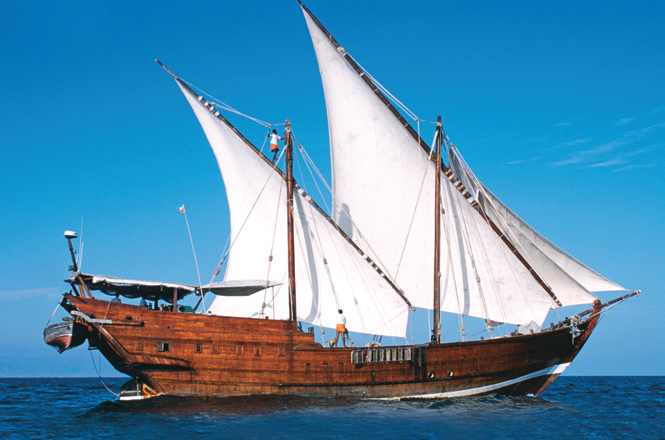 However, with rigged ships the best advice is, take frequent breaks and don't rush things. Also, there are specialized tools for rigging that are not part of the tool set of people who only do other genres of models. Good tweezers are a must, and little hooks and forks are very handy. Today I had a go rigging the guns. This stuff is tiny! Without my magnifier glas-annex-desk-lamp I wouldn't get anywhere. I couldn't really model the attachment points on the gunwhales, the little brass rings I have would be far too big so I'm afraid it is just blobs of glue. Mind you, you can only see this on the close-up pictures, in real life it looks ok I think. 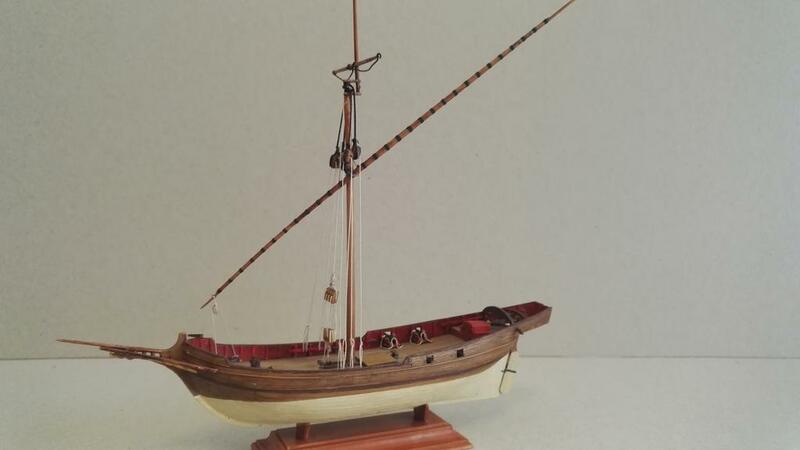 The lateen yard is fixed to the mast with some kind of parrel , and there is a halyard that goes to the deck behind the mast with a heavy pair of blocks. Some pictures also show a brace from the bottom end of the lateen yard, others don't show this so but I think it makes sense so I will put that on as well. The third picture above also shows braces on the upper part of the yard. Of course I also need to rig the short square topsail yard. I need to order some blocks first. By the way I tried the 'direct link' from Postimage, but that then only shows a link, not a picture. Weird stuff. you only left click on direct image , and copy should show up . Yes, it does that, but I think it is nicer to show the pictures in the thread itself. Oh well, it is not a big issue. 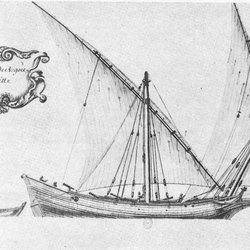 You see a rather similar overhanging stern structure in xebecs as well, by the way. When you have left clicked (copied) the image in Postimage, do you then use the "insert/edit" icon just above the FineScale Post Body window? (The icon that looks like a rectangle with a mountain and the sun inside - just to the right of the hot link icon). I hope you don't mind but I copied one of the above images, went to the Testing Forum and posted your image. When I click on the image it appears as it should in Postimage. BTW, excellent work so far. I use the 'share' icon on Postimage and then directly paste the link here in my draft post. This causes all subsequent text in my post to become a link as well, looks like a bug somewhere. I don't understand your method, what do you mean by 'left clicked (copy)' the image in Postimage? In postimage I select the thumbnail of the photo I want, to get the full size photo. Then I left click on the large image. I select, from the drop down menu, copy image location. Then, after clicking on the image symbol in my post, the cursor should be in the source window. I just use control-v, or copy, to paste that image location. Then click OK. I had a look at replacing those blocks, but the lines are glued around the masthead and I don't think I could get them off without damaging the mast, so I left them. One to chalk up to inexperience! To be honest after adding some more rigging, as in the picture above, it isn't too noticeable perhaps. Still more to do, but I find this rigging very tiring on the eyes so I only do little bits at a time. I do essentially what Don said. PS. Anytime I see the word "share" in cyberspace, I avoid it. 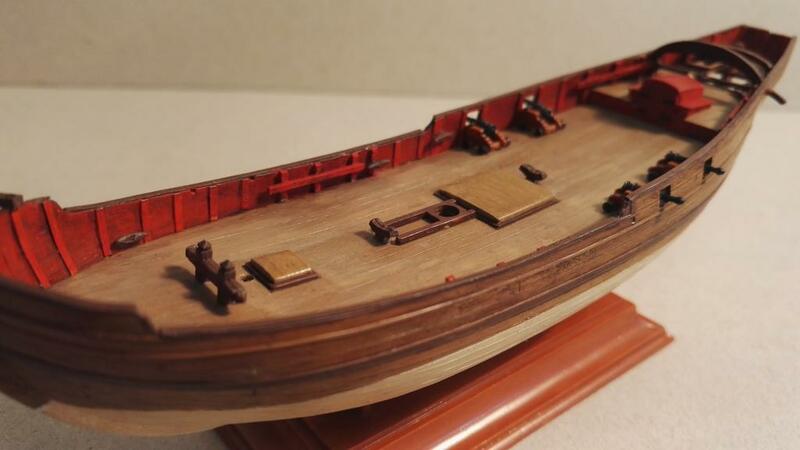 I have also read that on large warships the gun decks were painted entirely in red so that when the ship took hits in combat the gore splattered around wouldn’t freak out the surviving gun crews. I don’t if that’s true or not, it seems to me seeing your mates get splattered would be bad enough that painting everything red wouldn’t make much of a difference. Barns were always painted red because the paint was cheaper so I’ll vote for that explanation as well. Not only was red oxide paint cheap, it weathered very well. Well I think I am finished with her, for now. She is only a small model, and I am reasonably happy with how she turned out, my first model after many years. 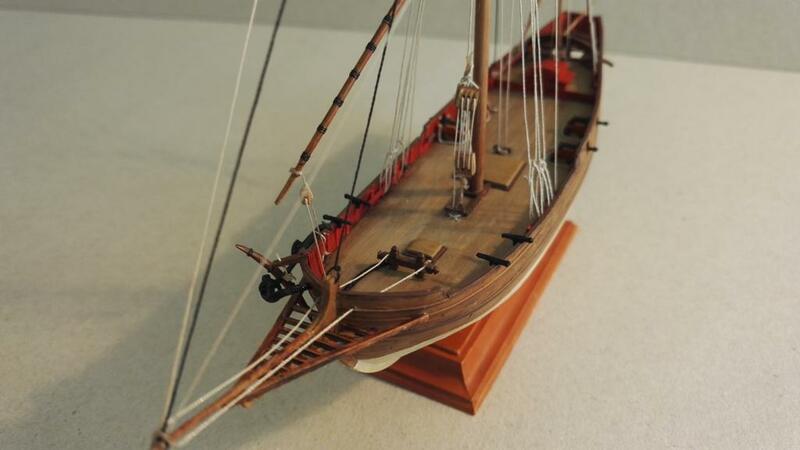 It is a nice kit, the biggest issue is that the masts and spars are very thin and will bend and break easily. This poses some issues for taut rigging. The rigging instructions are useless, the box art is much better and certainly points the way, that plus some research has given me a fair idea of what goes where. 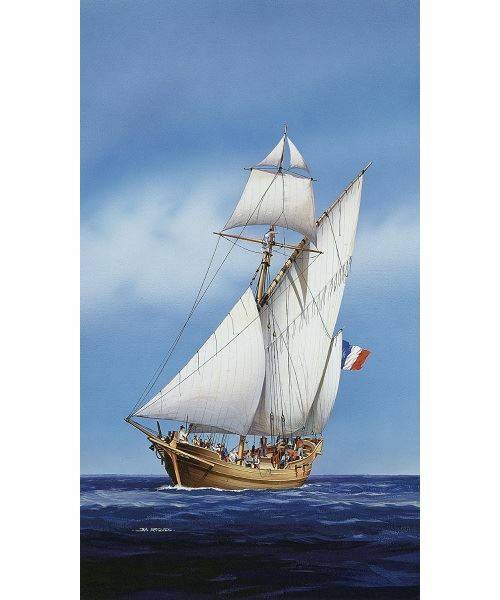 Obviously I left off the sails, the vacuum ones look terrible and I am not yet in the game of making my own. My next project is again a ship, but something rather different. I may post a thread when I get a bit further into it. excellent job , why don't you start at the start with your next thread mate , I'm sure we would all enjoy it. 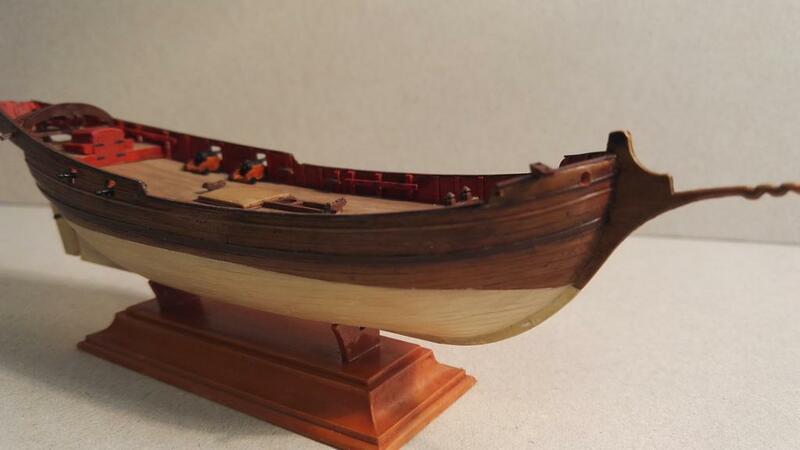 looking good , I was looking at this model , but it was a little too pricey for me , will be following , on your other thread .